LightArrow Organizer efficiently manages showings, open houses, inspections, closings, property listings, clients, prospects, service providers, digital information and much more in one place. Real Estate Professionals and Property Managers need information for their business in a single glance. This is precisely what the LightArrow Dashboard does. Enjoy easy-to-read, accurate data at your fingertips. 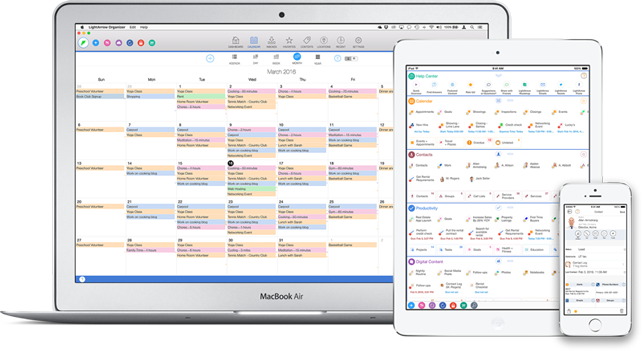 Get productive with one calendar for showings, open houses, closings and appointments. Track invitees, RSVPs, calendar appointments, notes, checklists, associated files, photos, expenses and bookmarks. Whether you’re a homeowner, broker or real estate agent, planning open houses is challenging. Effortlessly organize details of open houses by keeping track of flyers, locations, tasks, shopping items, reminders, notes, checklists, photos, expenses and more. Real Estate Professionals use to do lists and checklists to stay on task. LightArrow Organizer is complete with the tools to manage to do lists, open house checklists, maintenance lists, and other items such as client “must-haves” for new homes. Keep client and prospect information in one place. Associate tasks, appointments, reminders, notes, files, bookmarks and expenses with clients and contacts. Custom log forms for contacts enable user-defined information about contacts. Organize contacts into iPad or iPhone contacts groups. Import and export contacts through CSV. Save valuable time by keeping details for home appraisers, real estate attorneys, handymen, accountants, inspectors, surveyors, lenders, brokers, interior designers and other local businesses in one place. Put service providers into categories, rate businesses, add online access (username and password), add locations and sort local businesses by rating. LightArrow Organizer’s Inboxes combines information feeds from email, social media and the web and also lets Real Estate Professionals convert this information to activities, such as tasks, which saves precious time. Real Estate Professionals can improve efficiency with the built-in map. Plan appointments by location; see properties (assets) by location; see contacts within a radius; monitor events by location; find nearby dining, shopping and more. LightArrow apps are integrated with popular cloud services and applications, such as Dropbox™, Box™, OneDrive™ and Evernote®. Organize and view files, and associate files with other items in the app, which allows quick and easy retrieval of receipts, invoices and other documents. Use the secure password manager and private information organizer with strong, military-grade 256-bit AES encryption for usernames, passwords, codes (such as security, gate codes and PINs) and private notes, photos and audio. Organizing digital content from different sources is key to staying productive and informed. Real Estate Professionals can bookmark important things they find, take notes, securely store passwords, and access online real estate documents and notes from their favorite cloud services. Keep track of property details through assets. Record seller details, purchase cost, current values, manufacturers, models, mapped locations, and context tags. Associate tasks, appointments, reminders, notes, checklists, files, bookmarks, expenses, services, audio recordings, photos and videos to property assets.